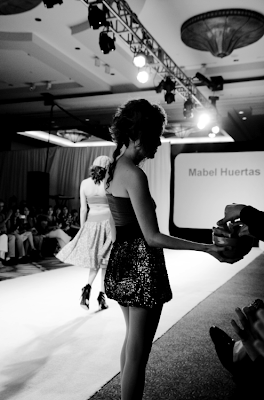 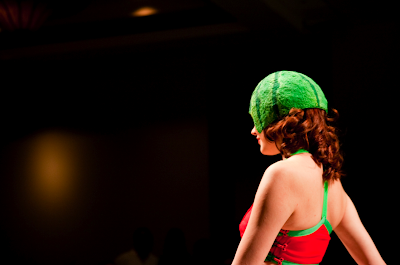 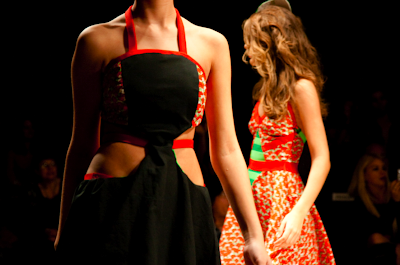 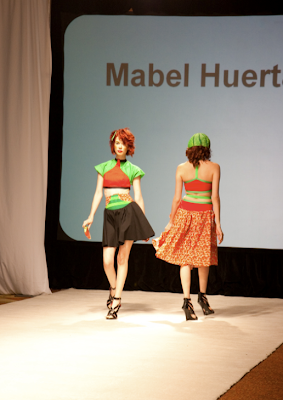 “Muñeca melón” is a collection created by Mabel Huertas, inspired by the watermelon colors and texture. 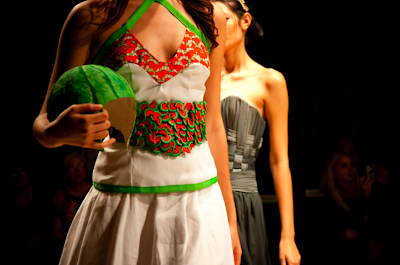 The freshness and angled cuts that the garments take are from the same shapes that the melons have when cut. 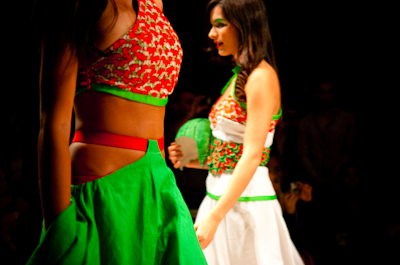 Below i gathered a few of the pictures I took from the runway.